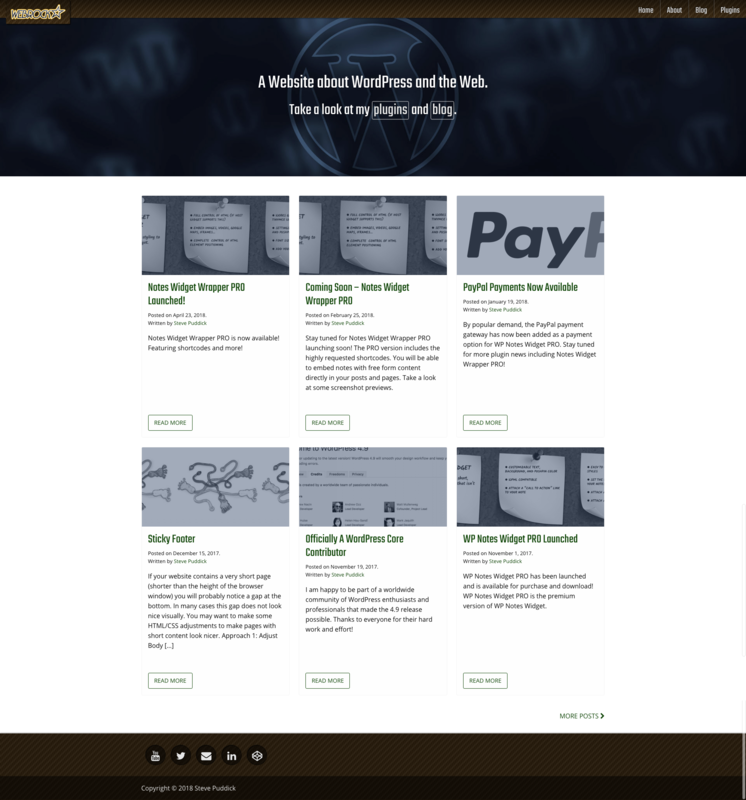 I built this latest version of webrockstar.net with FoundationPress (A WordPress starter theme based on the Foundation Framework). When it comes to front end web frameworks there is basically Bootstrap and Foundation. I like the Foundation framework for projects that are more on the 'website' side of the spectrum rather than 'web application'. I feel Foundation gives more flexibility with branding and visual uniqueness. Branding and visual uniqueness have more importance on a 'website'. On the other hand Bootstrap has more pre built components that come in handy with projects that are more of a 'web application'. FoundationPress is good and you may want to check it out. But for my next project I plan on checking out JointsWP. It still uses the Foundation framework as it's base but give more of a 'bare bones' starting point which is what I like. The home page before the adjustments.